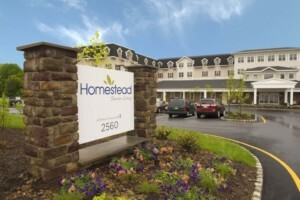 Hamilton Township, NJ: As Homestead at Hamilton moves forward toward completion, the Hamilton senior living community has opened a sales center, will be hosting two open houses and has hired senior staff. 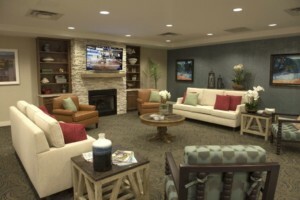 Homestead is being built by Pike Construction and Solvere Living to help serve a growing demand for senior living in and around New Jersey’s Mercer County. The community will provide apartments for independent living, assisted living and memory care and is located in historic Hamilton Township on a 24-acre site at the corner of Kuser and Klockner Roads. More than $59.1 million is being invested in the project, which is expected to create more than 430 direct and indirect jobs for the area. Homestead is expected to be completed in the fall of this year. “We’re moving forward rapidly and welcome the public to come join us at the open houses, meet our team of seasoned staff and learn about the new, state-of-the-art community,” said Kristin Kutac Ward, president and CEO of Princeton, NJ-based Solvere Living. Open houses will be held from 11 a.m. to 3 p.m. on Thursday, Feb. 16 and Wednesday, Feb. 22nd at 2452 Kuser Road, Suite C in the Homestead Sales Center in Briarwood Shopping Center in Hamilton Township, NJ. The public is welcome to review floor plans, learn about outstanding amenities, services and programs designed for health and happiness. Space for the open houses is limited; please RSVP to 609-438-9900 or visit www.HomesteadatHamilton.com. Two recently hired senior staff bring decades of experience in senior living to Homestead. General Manager Andy Fritz has more than 22 years’ experience in all facets of senior living. He holds a Master’s Degree in Healthcare Administration from Widener University and is a licensed healthcare professional through the state of New Jersey. Fritz lives in Gloucester Township. Marketing Director Michele Schreck has more than 30 years’ experience in independent living, assisted living, memory care and skilled nursing, working primarily in sales and marketing. She holds an MBA from Holy Family University and is a native of Mercer County, presently living in Florence, NJ. Homestead will offer 96 independent living apartments; 75 assisted living apartments and a memory care neighborhood of 24 apartments. The amenities and services-rich community will include: casual and formal dining, bar and lounge; state-of-the-art fitness center and exercise studio; hair salon, spa, theatre, convenience store and transportation, along with other features. There will be an emphasis on a healthy living environment and concierge-type services for older adults able to live independently. A whole-person wellness program and a range of social programs are being designed to support resident independence. This philosophy, called Salus by Solvere, is powered by Masterpiece Living, a holistic wellness platform on which all programming for the community is based. Designed to enhance and customize the community-wide successful aging initiative, Masterpiece Living is based on twelve years of research and the studies outlined in the book, “Successful Aging,” by Dr. Robert L. Kahn. Memory care at Homestead is guided by Solvere’s proprietary program, Valeo, Latin for “to thrive,” which focuses specifically on wellness initiatives for those with memory impairments. Valeo incorporates components that examine residents’ social, intellectual, vocational, spiritual, physical and emotional well-being and supports residents and families in achieving successful aging goals. Starting this month, Homestead will offer early depositors priority status by joining the Homestead Club, which includes lock-in pre-opening prices, moving assistance credits and a complimentary housewarming party and beauty/barber salon services. “We are very excited about Homestead at Hamilton and the care, support, services and quality of life it will provide to area citizens and the greater region as a whole,” Ward said. Through its team of professionals in business, finance, operations and marketing, Solvere currently has management contracts with communities in seven states, including New York, New Jersey, Texas, Maryland, West Virginia, Virginia and Indiana, and through acquisition or development expects to add seven additional communities by 2018. The company is on track to grow nearly 70 percent by next year. The media contact for Homestead at Hamilton is Scott McCaskey at Goldman & Associates Public Relations at 757-625-2518, ext. 3 or at: scott@goldmanandassociates.com. For more information about Homestead at Hamilton visit www.homesteadathamilton.com. Call 609-438-9900 for more information and details on the Homestead Club and deposit reservations.